We have our emotional moment of the night, and we’ll just come out and say it: it’s going to be almost impossible to top. 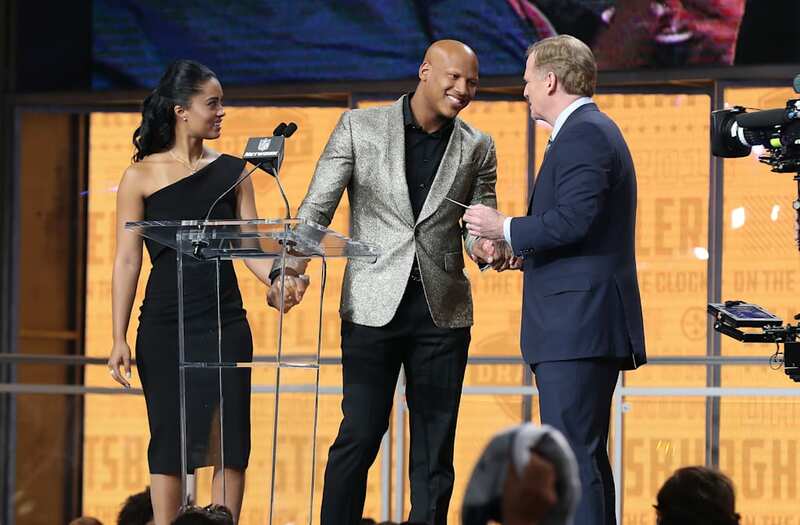 Gripping the hand of his fiancee, Michelle Rodriguez, Shazier walked with his head held high and a determined look on his face. He only broke into a smile as he got close to the podium. He was wearing a golden jacket over black shirt and pants, of course representing his team – with a little panache. Shazier will not play in 2018, but will have a role within the Steelers organization. The 25-year-old announced the name of safety Terrell Edmunds of Virginia Tech, and while Edmunds’ selection became secondary to seeing Shazier, Edmunds didn’t mind. Sanders was visibly emotional, as were several Pittsburgh fans at the draft who were shown on television.